It may be time for cricket’s coin toss to go out of the window as the ICC seriously considers abolishing the practice for the Test Championship, which will start with 2019’s Ashes series. This follows increasing complaints about conditions being manipulated by home boards to give their team a lopsided advantage over the visiting side. 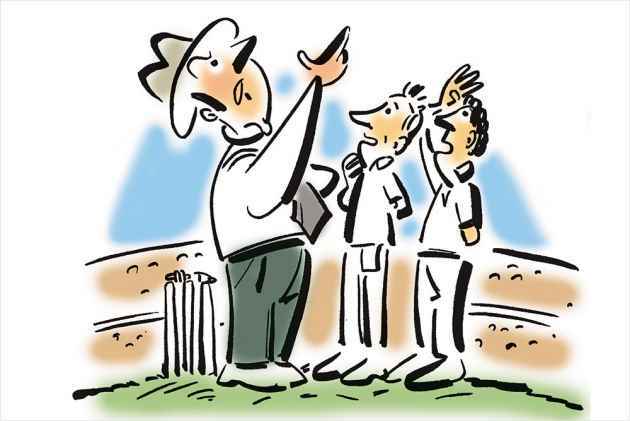 The briefing notes circulated ahead of the ICC committee meeting in Mumbai state that “more than one committee member believes that the toss should be automatically awarded to the visiting team in each match”, although some on the committee do not share that view. A kind of precedent was set when the toss was made optional in the English County Championship in 2016, with the visitors being given the opt­ion to bowl first and the toss only occurring if they declined. After Chunmun died at the age of 15, her parents left all their property to a trust in her name, started a clinic where the poor get free treatment, and installed a statue of her in the family temple. Placed with the pre-existing idols of Ram, Sita and Lakshman, the statue looks like Bal Hanuman—because Chunmun was a monkey. When childless Rae Bareli housewife Sabista saw a monkey being harassed by locals in 2002, she bought it, and she and her husband Brijesh Srivastava looked after it like their own child. They were grief-stricken when it died weeks later, but Sabista bought a baby monkey and named her Chunmun. Chunmun lived with the couple in an air-conditioned room, was made their legal heir and was even “married off” before her death last November. A black panther is stalking the forests of Odisha—one of the Bagheera kind rather than the Wakandan monarch variety. The animal, a melani­stic colour variant of the Indian leopard, was recently photographed several times by camera traps set up in Garjanpahad Reserve Forest, which sprawls across 10,000 hectares of the Hemgir and Gopalpur forest ranges and is linked to the tiger landscape of central India. This is the first confirmed sighting in the state—although there were reports of such a creature in the same area 26 years ago, no evidence could be obtained until now. The camera traps have been in place for three years but have only borne fruit now, as the black panther is a shy and elusive animal, just like ordinary leopards. Odisha thus becomes the ninth state where the black panther has been sighted in the wild. A vision can take many forms before becoming reality. When Amitabh Bachchan visited Daulatpur village in UP’s Barabanki district in 2008, he announced plans to build a college in honour of his daughter-in-law (the ‘Aishwarya Bachchan Degree College’), and laid the foundation stone with great pomp. The Nishtha Foundation of actress Jaya Prada was put in charge—but this was defunct within two years and was replaced by another body. In 2012, the ‘degree college’ became an ‘inter college’ for higher secondary students and Rs 5 lakh was advanced for construction, but no progress was made. Eventua­lly, a schoolteacher’s father donated 10,000 sqm of land, and the construction was completed with contributions from villagers. An Alien In The Assembly? In Canaan of old, the Gileadites weeded out the fleeing Ephraimites by asking them to pronounce the word ‘shibboleth’; those who said ‘sibboleth’ were exposed as Ephraimites and killed. Alas, the foreigners’ tribunals of Assam must resort to more prosaic—and perhaps error-prone—methods. BJP MLA Kishor Nath, his wife, four brothers and sister-in-law, were recently served notices to prove they were Indian citizens, not Bangladeshi migrants. A surprised Nath, who represents Barkhola, said he was “a son of the soil” and “we have been living here for three generations”, and intends to provide all the required evidence in court. Uttar Pradesh’s women cops are getting a makeover. After a 2016 National Conference of Women in Police made recommendations to improve the uniform, Allahabad police headquarters made a specific proposal that the government has now approved. Non-gazetted police­women will now wear tunics ending a few inches above the knee rather than shirts. These tunics will be double-collared with four pockets and will have loops for a cloth belt with a buckle featuring the UP police logo. A top pol­ice officer said the uniform had been designed with the convenience of the women cops in mind, but another officer said the tunic looked heavier than the old shirts. Most Indian leaders are oblivious to neighbour’s sensitivities while engaging in political rhetoric. But this is something you don’t easily identify Sushma Swaraj with. She is not only among the most widely experienced but perhaps also the most matured politician in Narendra Modi’s cabinet. As foreign minister she has been extremely careful in choosing her words while conveying a message to the neighbours. Yet, it is a remark she made recently that is threatening to bring back fresh strains in India’s relations with Nepal. The Post further pointed out that Sushma claimed Modi was the first prime minister to address the Indian community at where they are living. Her remarks come weeks after Modi’s visit to Nepal’s Janakpur where he addressed large number of Madhesi people in Hindi and Maithili language. Many in Nepal continue to feel that India still considers Madhesis as its cat’s paw. The ties between the two nations have soured over this issue. In recent years, Indo-Nepal relations had soured over Kathmandu’s failure to give adequate voice to the Madhesi community in its new Constitution. Delhi’s dissatisfaction over this had also led to an economic blockade on land-locked Nepal, leading to misery to the people of the country. Many in Nepal continue to believe that India still considers people of the Madhesi community as its cat’s paw. It is therefore interesting to note the statement issued by the Nepalese foreign ministry on the issue.